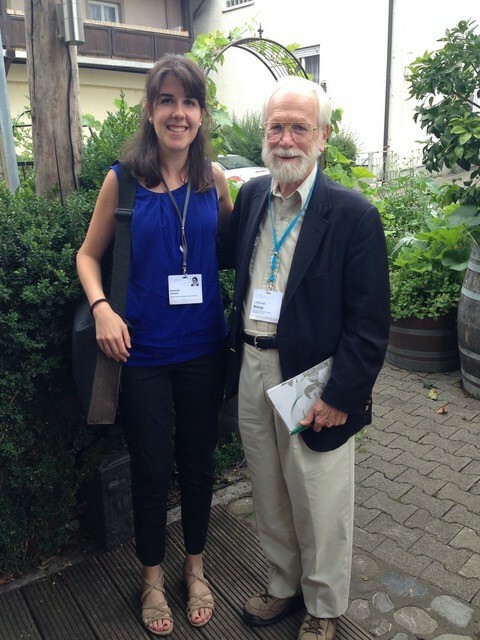 On the last day of the 68th Lindau Nobel Laureate meeting, on the boat leaving Mainau island we asked ourselves what we were taking home from that incredible week. One aspect of the meeting impressed me from the very first day: the number of physician scientists attending, at various stages of their careers, from medical students to Nobel laureates who had practiced medicine. As a physician who dived into a basic research PhD programme, I have always struggled to find people with a similar story. Surrounded by biologists, chemists and bioinformaticians, I can count the MDs in my institute on the fingers of one hand. Indeed, combining basic research and clinical training raises many essential questions, that I found out were shared among us, even with those who got exposed to basic research during medical school, within MD-PhD programmes. “My biggest challenge has been to identify the proper niche for myself”, says Vladislav Sviderskiy, MD-PhD candidate at the New York University School of Medicine, “If I get the opportunity to have my own lab, I would still like to see patients part-time to identify the direst questions in the clinic and to continuously remind myself that my research should push to benefit patients”. Given that many of us have this aspiration, is it more difficult nowadays than in the past to combine research and clinical practice? Are dedicated training options well formulated, at all career stages? Can anything be done to ease the great burden in terms of workload, bureaucracy and responsibility that a clinician faces every day, in order to guarantee a protected time for research? Is it actually worth to embark both in clinics and research, with the risk of not being good at either, considering the massive wealth of continuously evolving knowledge to keep up with? “It’s a very difficult decision”, said Michael Bishop, MD and Nobel Laureate in Physiology or Medicine in 1989. He remains of the opinion that, especially in cancer research, knowing the disease and its clinical implications is useful for those who do basic research on it. This is the same reason why, in 2006, his colleague and Nobel prize co-recipient Harold Varmus has contributed to set up the Gerstner Sloan Kettering Graduate School of Biomedical Sciences, to provide biologists with an understanding of the disease and with “the big picture. They have to understand that they do biology with humans”. When questioned why physician scientists are a vanishing species, the two agree that the problems are the high expectations and demands placed on them in terms of clinical activity and responsibilities. In this respect, while MD-PhD programmes are quite established and in good health, at least in the US, training programmes for junior faculties are critically lacking. Since a mixed career as physician scientist remains extremely demanding, the question arises: why should we still grant doctors with dedicated options to do research? “I believe physician scientists are uniquely equipped to act as liaisons between the two disciplines. Translating scientific discoveries to clinical practice or understanding clinical results mechanistically requires communication between the scientific and medical communities and physician scientists can help to bridge the gap”, says Vlad. Discussing with other young scientists and Nobel Laureates, it clearly seems that such a gap exists, and that communication must be fostered between basic scientists, clinicians and global health specialists. In a wonderful session Peter Agre, MD and 2003 Nobel Laureate for Chemistry, reminded us all, with his life experience and current work as director of the Johns Hopkins Malaria Research Institute, that these different figures share the same scientific objective, that is to understand the world and manipulate this knowledge for the benefit of mankind. 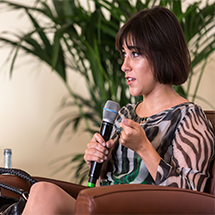 When questioned about this matter, Alice Accorroni, MD PhD and Lindau Alumna 2015, says: “I truly believe that we should encourage the formation of large research groups to study a specific condition at different levels, from basic research to clinical trials. Most of the meetings that I attended have separate sessions for basic scientists and clinicians: we should discourage this habit and facilitate multidisciplinary sessions where both groups of researchers have a chance to exchange ideas”. 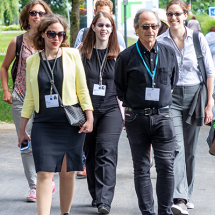 What I ultimately brought back from Lindau is the awareness that the decrease of physician scientists is “a sociological problem”, as Harold Varmus said, and that it should be tackled as such, from many angles. Both Varmus and Bishop stressed some points that could improve the current scenario: apart from reducing the clinical responsibility burden, it is important to establish tight collaborations with pure basic scientists and have people educated enough to understand basic research, clinical practice and their demands, possibly recapitulating the kind of experience that many of the Laureates had, passing from clinical practice to fundamental research. Especially in Europe, where MD-PhD programmes are not as widespread as in the US, many measures must still be taken to assist the training of physician scientists. As Alice remarks, “these should include: defining a specific path of clinical training for those physicians interested in pursuing an academic career; promoting the access to research facilities during medical school to foster the interest of medical students for research, but also to make them realise what are the challenges of doing full-time research”. After the Lindau meeting, I definitely feel more confident about my choices so far, and I do have hopes that I will not necessarily have to choose between the lab and the ward. 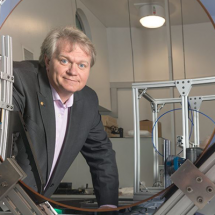 A lot has yet to be done by our generation of researchers and doctors to make science more interdisciplinary and ultimately faster in advancing our knowledge of the world. 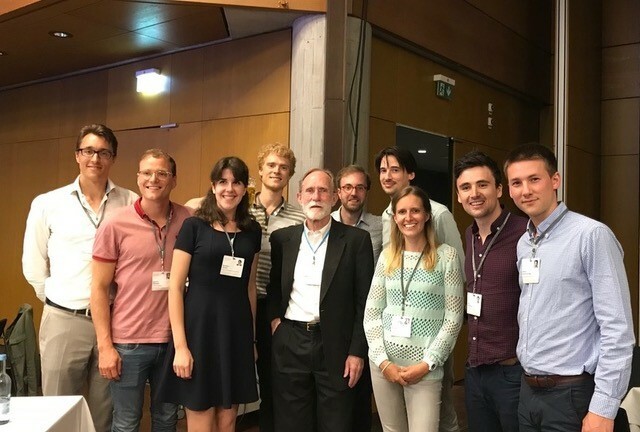 Elisabetta Cacace with Nobel Laureate Peter Agre and fellow young scientists. Elisabetta Cacace, Lindau Alumna 2018 and Amgen Alumna 2013, received her MD from the Scuola Superiore Sant’Anna, Pisa, Italy. 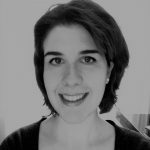 She is currently a second-year PhD student at the European Molecular Biology Laboratory (EMBL) in Heidelberg, Germany, working on antimicrobial resistance and combinatorial therapies of bacterial infections.